When you learned how to drive a car, you most likely covered the subject of distracted driving. Being distracted while you’re behind the wheel is most often associated with using your cell phone while you’re driving. However, there are numerous scenarios in which you may find that your attention is not completely on the road. In part one of this two-part series, we will cover some of the most common distracted driving scenarios, as well as how to avoid them. At MVD Express, we care about your safety behind the wheel. In addition to providing you with all of the MVD services you need, and we also work hard to provide you with all of the necessary information to help you drive safely on the road. We strive to make our MVD in New Mexico your one-stop shop for all of your MVD needs, so be sure to check out our website for more information about distracted driving, DWIs, REAL ID, and so much more! If you have any questions, please don’t hesitate to reach out to our friendly staff. Distracted driving is defined as “any activity that diverts attention from driving,” according to the National Highway Traffic Safety Administration (NHTSA). Although distracted driving is commonly linked to cell phones, there are many other activities that you may be doing on a daily basis that could cause you to divert your attention from the road. There’s nothing better than going on a road trip or even a short drive with your friends. However, driving a car filled with your best friends is a recipe for distracted driving. Think about what happens when you’re in the car with your friends. At the very least, you’re most likely engaged in a conversation about one thing or another, or you could be singing your favorite song on the radio at the top of your lungs. While these scenarios may sound like a good time, you also have to think about how they can affect your attention to the road in front of you. In order to remain as focused on the road as possible, it’s best to try and limit the number of people you have in your car. This may not be the most convenient solution, but it will help you keep your eyes on the road and your friends safe. We can all agree that using a GPS is much easier than having to consult with a map every time you need to make a turn. That being said, a GPS still has the power to distract you while you’re behind the wheel. We’ve all been in the situation where we make a wrong turn, causing the GPS to recalculate the route every 100 feet. This in and of itself can be quite distracting, especially since you don’t know where to go. Another scenario may be when you glance down to check the estimated time of arrival or when to make your next turn. If you’re in heavy traffic, a quick glance down may be all that is needed to cause a collision. The best way to avoid distracted driving while you’re using a GPS is to try and listen to the audio cues instead of glancing down. 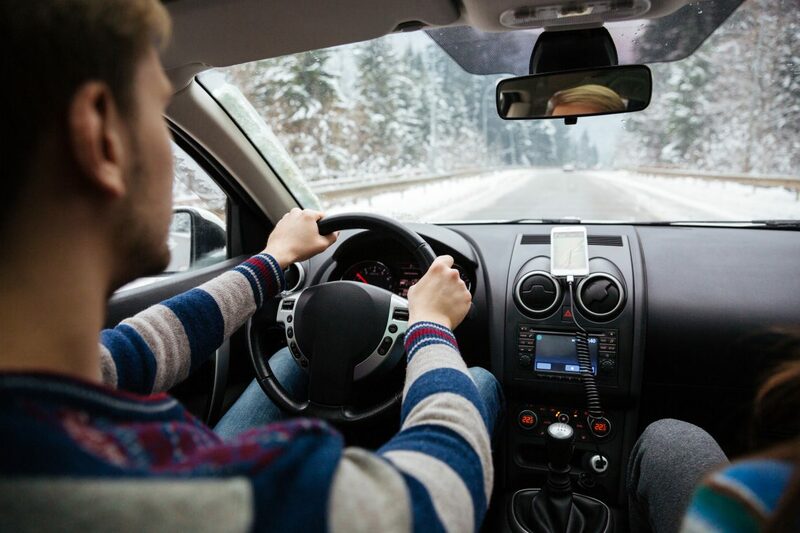 If you’re traveling with a passenger, ask that person to act as the navigator so that you can focus on the road in front of you. If you have a busy schedule, then you may find it difficult to find time to sit down and eat a meal. As a result, you might decide to get something quick that you can eat while you’re on the road. While it’s important to provide your body with the food it needs throughout the day, eating and drinking while you’re driving can be a huge distraction. Eating a sandwich while your eyes are still on the road may seem safe, but you also have to think about where your mind is at that moment. Is it on the cars around you, or is it focused on biting and chewing your food without dropping anything in your lap? It’s best to avoid eating and drinking while you’re driving, even if that means eating while you walk into a meeting. Find Everything You Need at MVD Express! At MVD Express, we offer all of the MVD services you need, and we even give you the option of scheduling your appointment in advance! 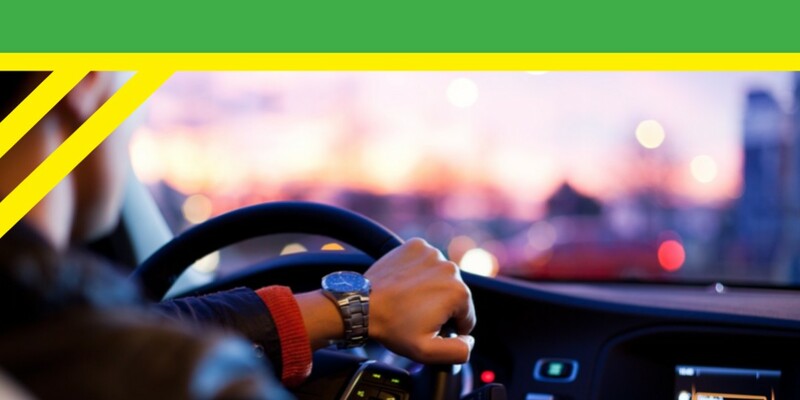 In addition to a friendly staff, shorter wait times, and extensive services, we also strive to provide you with all of the information you need to drive safely on the roads. Learn more about our MVD in New Mexico, and be sure to keep an eye out for part two of this series where we will discuss distracted driving even further. Life is busy, we make it easy! Visit MVD Express today.